What’s missing from your training regimen? This article is geared toward a very particular set of players but the lessons herein can be applied across all endeavors of life. 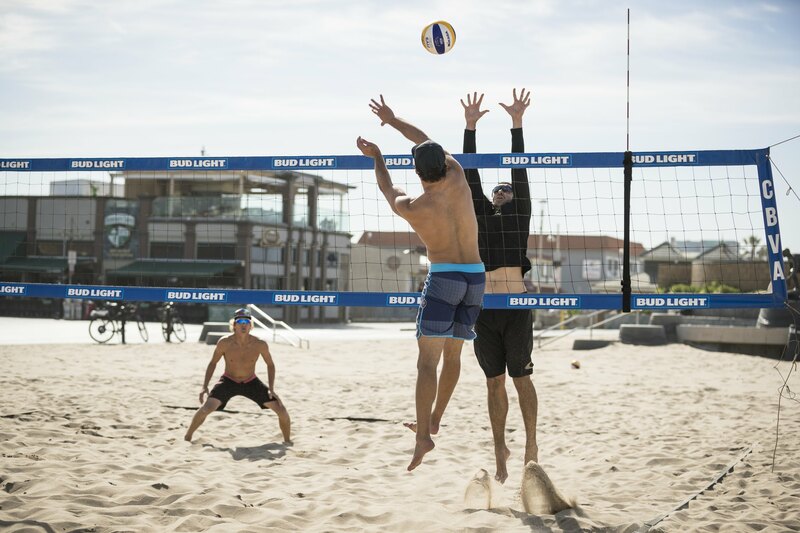 As sporting people often do, we’ll use the game we know and love as the foremost example but, while reading, don’t limit your imagination to beach volleyball. You’ve been playing the game for a while now. You know the ins and outs. You watch matches all the time. You’re tough. You’re independent. You’re smart. You play at the Open Level! You are at the top of your game and you know how to design a good practice. You might even coach other people. After all your experience and know-how, it’s just about flipping a couple switches and you’re game is going to blow up! Rep it out, man. REP. IT. OUT. You are at the top of your game and you know how to design a good practice so you’ll figure it out on your own. Why would you ask or, worse yet, PAY someone to tell you things you already know?! Who would be able to give you a tip that you haven’t figured out in all your years of watching and playing the game.? Why would you give money or put your ego at risk just to hear a bunch of stuff you already know? You’re 23… 26…30…34…50. You’re time for needing a coach is over. You know all there is to know about the game, its just about fixing it. I’d like to pose a few questions to you, Mr. “Athletic Pro / Semi-Pro /Winner of Local Tournament Quarter-Final / Throw a Tantrum when the player-ref makes a bad call that gets you knocked out of pool play” GUY. The NBA, NHL, NFL, MLB and MLS all feature the TOP athletic talents for their sports. These are leagues where players can make millions. SO, how many practices, out of ten, do you think coaches attend? Do the top performing athletes in the world have personal trainers, skill coaches, mental coaches and head coaches? Do you think there is a correlation between having someone help you with your game and winning? Between combining your mental prowess with someone else and winning? Between helping you communicate with your teammates AND winning? What makes you think you’re so wonderful that Kobe, Tiger, Lebron, Tom, Peyton, David, Wayne, Randy etc. etc. etc. all needed coaches but you don’t?!? Let’s go directly to beach volleyball. The most front running example right now is the team of Dalhausser/Lucena who have enlisted the services of Paul Baxter. Baxter was a beast years and if he chose to, would still have success on the pro tour but he never reached the global level that Phil and Nick are at right now. Does potentially the top team in the world, need a coach? They certainly think so. Jake and Casey got the indoor national team setter and libero to be their coaches. Gibb had a lot more beach experience than both Tyler Hildebrand and Rich Lambourne when they joined up but the team decision was to get the best setter and best passer/defender they knew on their side. John Hyden is an ageless animal with a beyond decorated volleyball career from indoor to beach. This year, he and Tri have combined forces with Evie Matthews, adding perspective, energy, and ability to his practices. I recently had my first FIVB Main Draw experience. The top teams and their extensive staffs truly impressed me. There were coaches constantly running players through drills and warm ups before matches. There were statisticians watching games while recording strengths and weaknesses. There was always a coach with a camera near the court, even if it wasn’t their team playing!!! During some downtime, I managed a sneak peak at the black book of Eskil Holtan, who is the Head Coach of the Norwegian teams and the only person I know who holds a Master’s Degree in Beach Volleyball! Knowing that he had at least a full page of statistics on almost every player he could come up against was an eye opener to say the least. In my tenure, I’ve seen players stay at the same level for years. They are getting the same results at 34 as they did when they were 24. They blame their athleticism or their jobs, or their height, or any number of excuses. Ask that player when was the last time he had someone run a practice for him. Ask him if he’s had someone keep an eye on his matches or check out some of his film. Ask him the last time he sat down with an OPEN MIND and tried to learn how other players and coaches see the game. The answer is too often, “Never”. They might argue that they read articles or watch videos but are they watching in the spirit of proving themselves right or legitimately learning and trying to apply something new? They had some mentoring early in their career when an older player lent a handful of advice but what happened? The active search for teachers and knowledge ended there. Since when is it a bad idea to further your education? If you try something completely new you might discover that it works! You might even discover something else along the way. Worst case scenario, you try it for a couple weeks, realize it doesn’t apply to you and then go back to your way. For certain, each of these scenarios is better than donning your blinders and earmuffs only to discover you’re at the same place 10 years down the road without ever having tried something new. Here are just a few ways a coach can change your game. You no longer have to share reps. When its someone’s responsibility to feed you full time, your training gets twice the quantity. Otherwise you end up being fair and feeding the other team after your tun, losing half of your time. If you don’t have money for a high end coach, do this; Make an agreement with another player where they ONLY feed you for 1 hour and you for them. You can get good focused repetitions. Ask them if they can see anything that you’re not feeling. You don’t have to nag your partner. A lot of the stress that comes with having two players is generated in trying to help each other. It’s tough not to be defensive when your partner wants to correct you and that puts stress on the relationship. A coach serves as an outside voice that can dull the sting of having your partner correct you. You can exchange ideas with them. Sometimes we get stuck in our own minds. We try and try to solve a problem with no results until some comes along saying “try it this way”. A simple key or different approach can be the difference in your game. They force you to do things you aren’t comfortable with. We like to succeed. The struggle is uncomfortable. Repeating an action and losing because of it is not easy on our psyche and after only so long, we switch back to the play that makes us feel good rather than hammering out the ugly. When a coach designs a drill for your weakness and doesn’t let you out of it for an hour, they are doing you a massive favor. They multiply your rate of improvement. Even if you are an avid student of the game and a great independent worker, there are things you might know and see in others but can’t necessarily FEEL on your own. You can film practice and then check it out which is SUPER important. The problem here is that you spend 3 hours doing it wrong, then see it on tape and decide to correct it. So you still waste those 3 hours on a bad habit and you HOPE that you make the physical adjustments that your mind knows it should make. A good coach or even a semi-competent player (if you ask them to watch) can correct you on the spot saving you from days full of bad habits. SEEK knowledge. LISTEN to perspective. Keep an OPEN MIND. Let go of your EGO enough to ask somebody if they could give you their take on your game. It doesn’t matter how long you play or coach the game. If you aren’t hunting and willing to experiment with new information, you will be the same player and the same coach as you were 10, 20, 50 years ago. Get a coach. Mark Burik is an AVP and FIVB Player. He has also coached numerous professional indoor and beach volleyball teams. Mark is the Owner and Head Coach of VolleyCamp Hermosa, the only company to offer training, coaching and accommodations in California.